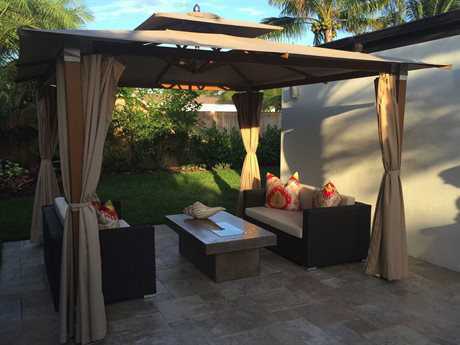 A gazebo is a freestanding structure typically found in a garden or backyard used for relaxation and entertaining. They have a roof, but are open to the outside on all sides.They are often constructed out of wood or metal and usually have seating for users to sit and view the surrounding scenery. 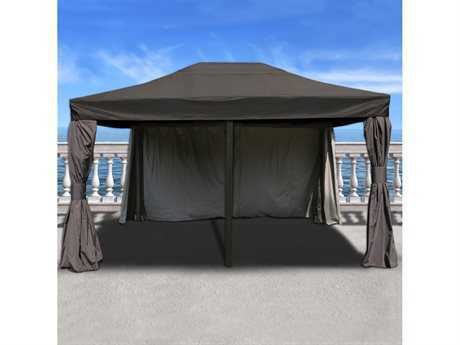 PatioLiving offers an extensive selection of gazebos from top brands, such as Oakland and Jaavan. 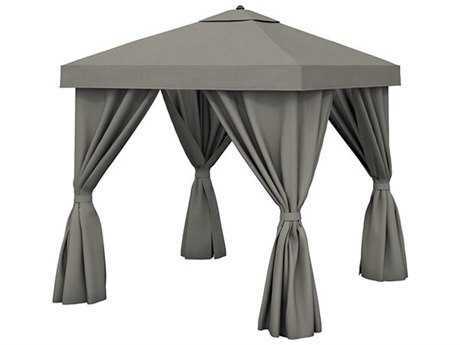 Gazebos are usually found in public spaces like parks, but can be a beautiful and functional addition to a personal garden or backyard. 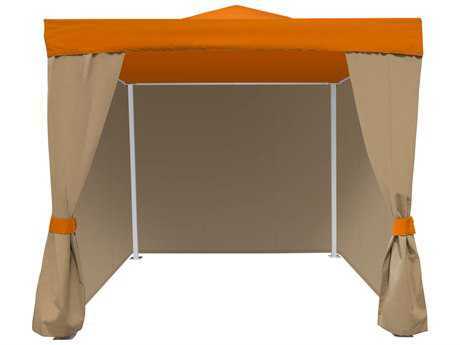 They can be permanent structures or temporary structures set up as need be, such as when you are hosting a party and need additional shade and seating in your outdoor entertaining space. 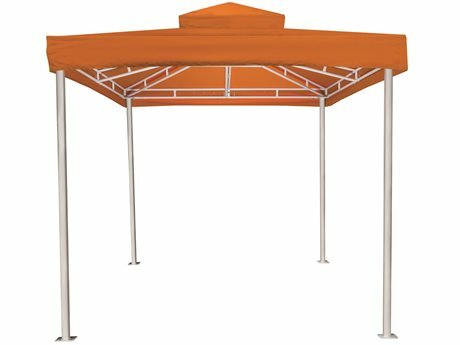 Temporary gazebos are put together with metal rods and covered by a weather-resistant outer cover. 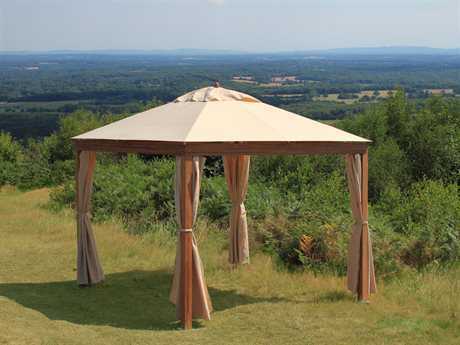 The roofed structure of a gazebo offers protection from the sun and rain while still allowing users to enjoy the weather. Gazebos can be large to accommodate many people for a large get together, or small to serve as a private outdoor oasis. 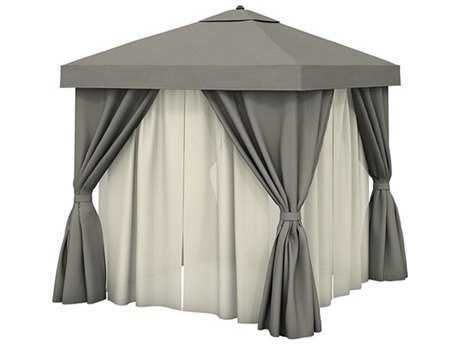 Temporary gazebos can sometimes transition to an enclosed space with drapery or netting that zips shut to keep out bugs and animals, much like a tent. 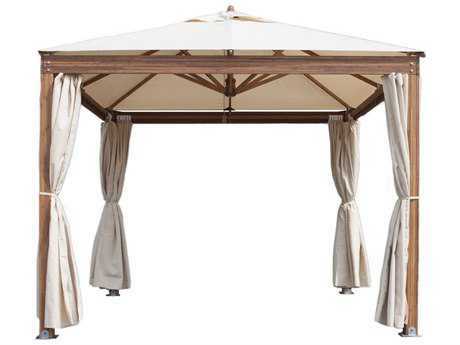 Gazebos can hold dining sets or lounge sets, perfect for entertaining. Gazebos are focal points in an outdoor space and can be decorated with flowers, lights, and in some cases, drapery. The outer design elements of a permanent gazebo, such as the color of the latticework and roof shingles, generally matches the design aesthetic of the home, but can range based on the homeowner’s taste. 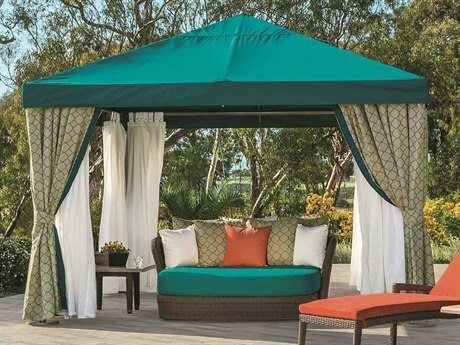 Gazebos often house comfortable benched seating that matches the interior of the gazebo in color and material. 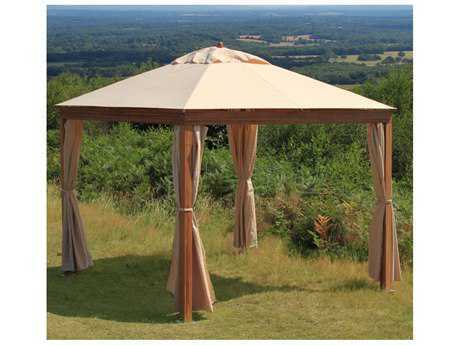 Temporary gazebos often come in neutral or nature-themed colors, like beige, tan and green.